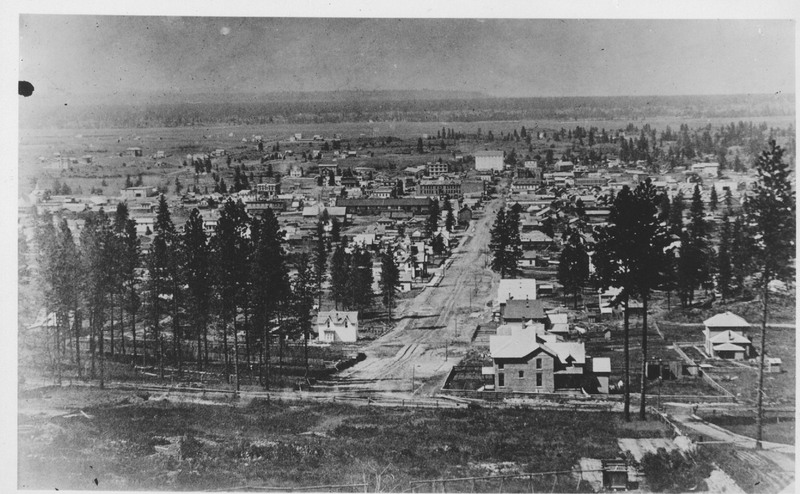 1880 marked the start of a time of great change in the Inland Northwest. The area currently home to Riverfront Park began a journey of steady growth, transforming open land into a small manufacturing town. The previous decade had seen Spokane’s first Euro-Americans settle along the south channel of the Spokane River, making their homes on the rocky banks. 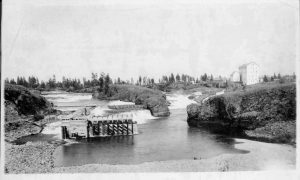 With new construction emerging amidst the small number of existing mills and cabins, the 1880s saw the beginnings of modern development along the Spokane River and the long journey toward the city of Spokane that we know today. The fledgling development surrounding the river drew new residents to the area, slowly increasing the population of Spokane Falls. Expanding industry and the growing number of people exposed the problem of accessing the islands in the middle of the river. Big Island, renamed Havermale Island in 1889, was a tempting place for development because of its central location in the middle of the Spokane River channels. This island, as well as the smaller one nearby originally known as Cannon Island, was only accessible by ferry, boat or canoe. Local residents soon chipped in to fund three bridge crossings. Completed in 1881, these bridges followed the path of Howard Street connecting both the north and south banks of the river to Big Island. With the lands in the middle of the river now connected to the mainland, commercial and industrial properties began to appear more readily throughout the area. The area along the south bank of the river grew quickly in the early years of the decade. Ten structures of commercial, industrial and residential use occupied the land where the Looff Carrousel and Rotary Fountain sit today. Businesses in the vicinity included a stable, tailor, paint shop and two hotels – the California House and the Delmonico. One of the most prominent operations in the area was Spokane’s first commercial laundry facility, Spokane Steam Laundry, which arrived at this time and was located on Havermale Island near the Howard Street bridge. Adding to the growing industrial area, the New York Brewery occupied the corner of Washington Street and Front Avenue, now known as Spokane Falls Boulevard. 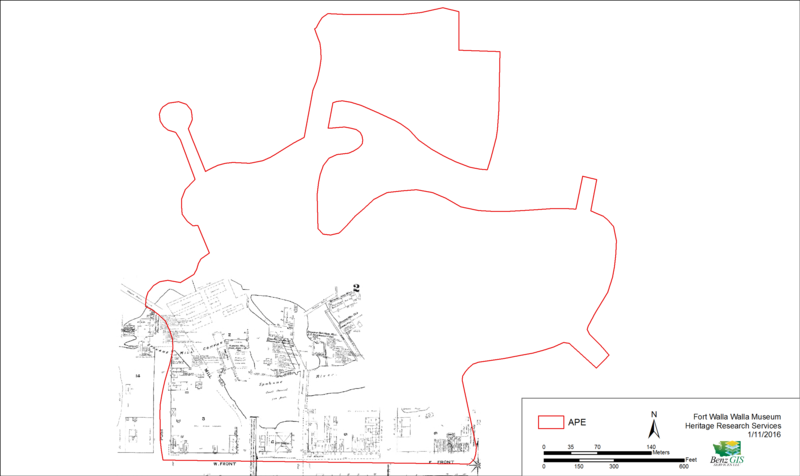 As the end of the 1880s approached, this area contained a wide range of industrial and commercial properties. 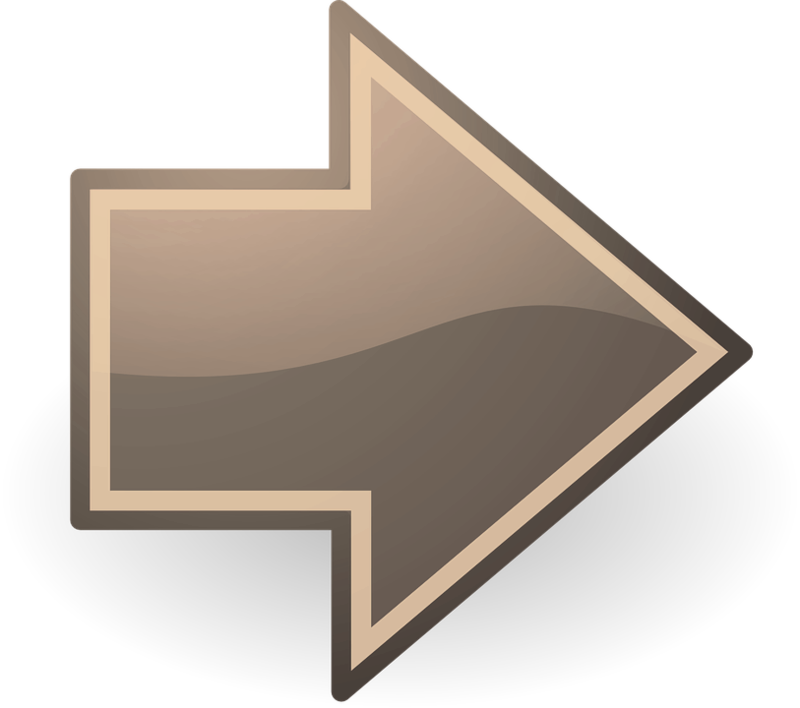 The biggest of these operations was a large lumber mill. Originally known as A.M. Cannon’s Mill and later merging into the Spokane Mill Company, the lumber operation took up the majority of two blocks on the south bank of the river. In addition to lumber production facilities, the area included a shingle mill on Big Island, the National Iron Works factory, and Samuel Havermale and George Davis’ Echo Roller Mill. With the continuing movement of new residents to the area, an immigrant population began to establish itself among the mills and industry. The developing Chinese community expanded over the course of the decade to include merchant shops, laundry services and a gaming facility. Despite a city ordinance prohibiting the distribution and use of opium; opium dens were known to be located in this area as well. Multiple brothels operated in the blocks along the river, catering to the working men and immigrants far from home. Prostitution was a common occurrence in early western towns as few wives followed their husbands to rough mining camps and railroad towns. Furthermore, strict immigration laws prohibiting wives of Chinese laborers from coming to the U.S. meant female companionship was in high demand. On August 4th, 1889, the young community of Spokane was faced with disaster. 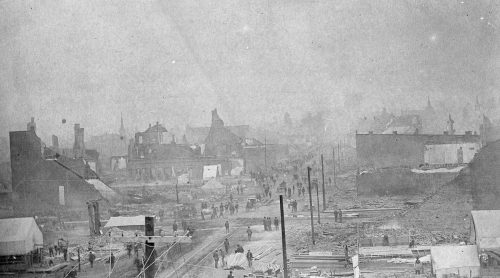 Known as the Great Fire, flames swept through the wooden structures that made up most of the commercial core, destroying 32 blocks of the city’s downtown. The fire consumed structures as far as the north side of the Howard Street Bridge, in the process destroying the Spokane Steam Laundry. Buildings across three blocks in what is now Riverfront Park were destroyed with very few surviving. The New York Brewery on Washington Street was one that survived the flames while others, such as one of the city’s first hotels, the California House, suffered devastating amounts of damage. Echo Roller Mill, ca. 1885 – Teakle Collection. Northwest Room.